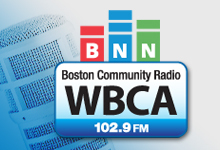 Boston Neighborhood Network is a nationally recognized, award-winning community media center and 501(c)(3) nonprofit that acts as a public forum for all Boston residents, nonprofit and community-based organizations, and governmental and educational institutions, providing them with affordable training and access to emerging media technologies. BNN is a landmark institution built by and for the community. While many cities are defined by their skylines, Boston is distinguised by 23 historic neighborhoods. BNN is geographically located near the center of these neighborhoods, offering equal access to media education, digital technology, media production and distribution capacity. Our members, partners, supporters, daily visitors, as well as our channel programming lineup represent the diversity of our city.